An article on the Geology of the Enchanted Forest is in the works. > I'm geologist and interested to know about the depositional model of this kind of rocks. > So, how could I have any additional information of this old querry? The coquina rock within the Enchanted Forest is estimated to be late Quaternary (120,000 years old) and deposited along a coastline when sea level elevation was approximately equal to the present. Support includes it's stike, parallel to the modern coastline, elevation approximately equal to late Quaternary sea level, sediment texture and composition, fauna, and primary sedimentar structures. There are a few quarries actively mining the limestone for landscaping. These can be identified on local topographic maps. 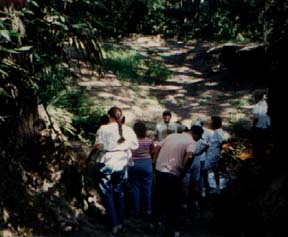 The Addison Canal was cut through the Coquina Ridge. It makes a wonderful place to study the Geological History of the area. 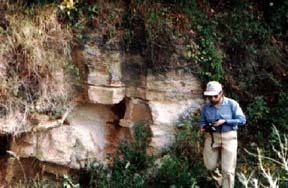 The old quarry is a great place to study Coquina Rock formation and Solution Holes.